what-i-found: Harper's Bazaar 1944 - "Says the girl in the swallow-tail gown." Harper's Bazaar 1944 - "Says the girl in the swallow-tail gown." 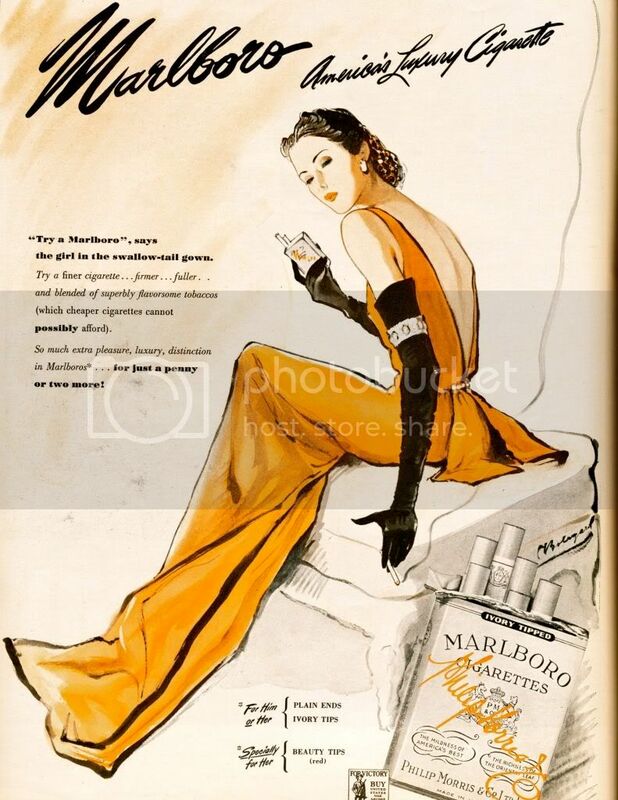 So much extra pleasure, luxury, distinction..." I just know they are talking about her gown, not her Marlboro.